Redecker's high-quality toilet brush set comes with a beautiful embossed galvanized metal pitcher and thermowood toilet brush handle with nylon bristles. Thermowood is Redecker method of heat treating wood in order for it to resist moisture penetration. Handcrafted in Germany. Redecker's high-quality toilet brush set comes with a beautiful embossed galvanized metal pitcher and thermowood toilet brush handle with nylon bristles. Thermowood is Redecker method of heat treating wood in order for it to resist moisture penetration. 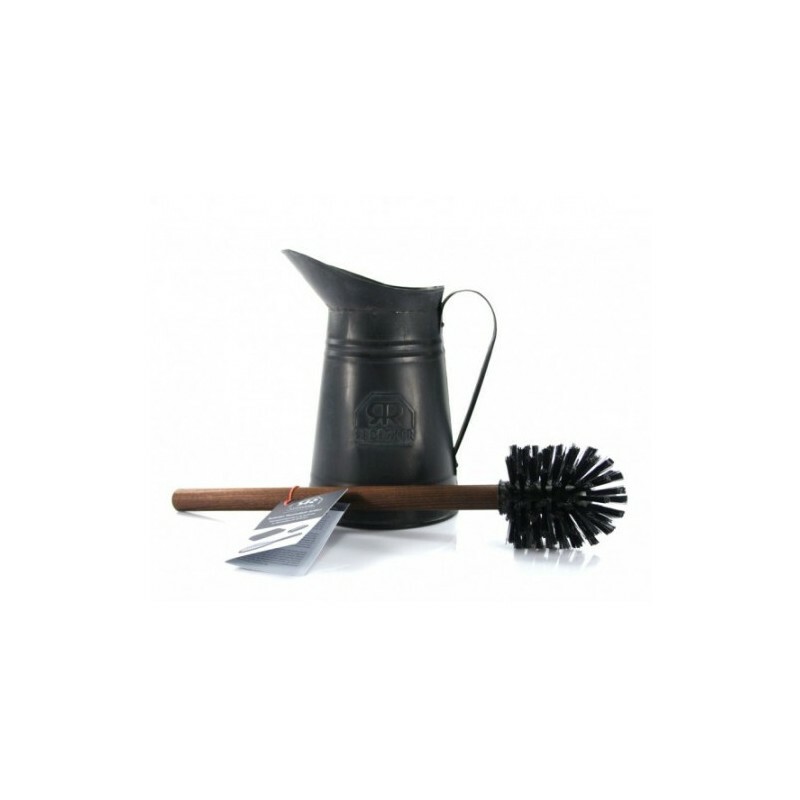 Metal pitcher measures approximately 22cm H x 15cm W.
Brush measures approximately 39cm L.
This functions well as a toilet brush and holder. I like the handle on the holder for cleaning. Brush works well and is easy to clean while flushing. The darker colour is lovely. Light weight, and does the job. No smell if brush and holder rinsed properly after use. Wooden handle seems to be going quite fine and not showing any sign of wear or tear. Only downer was that I had to wait for it to come into stock. Not ugly in your bathroom! I usually hate toilet cleaning brushes with a passion. They are ugly, smelly and just look plain awful. I ordered one of these because, well you still need to clean your toilet and I was sick of having ugly plastic accessories cluttering up my bathroom. I have this set sat on the windowsill and it could easily be mistaken for a traditional pitcher jug, which makes a pleasant change. The thermowood brush handle is indeed long lasting. Over 2 years and it's not showing any sign of wear yet. The jug is easier to clean out occasionally thanks to the handle.